Eggs, Bacon, Biscuits, and Santa, Oh My! Children in the St. Louis metropolitan area have plenty of chances to see Santa and tell the old elf what they want most for Christmas during the holidays. You'll find Santa at most area malls and lights displays throughout December until Christmas Eve, Dec. 24. Another popular option is breakfast with Santa. In fact, some of the St. Louis area's top attractions host Breakfast with Santa events each year. Here's where and when you can have breakfast with Santa in the St. Louis area during the 2017 holiday season. The St. Louis Zoo hosts three weekends of Breakfast with Santa at the Lakeside Cafe at 9 and 11 a.m. on Saturdays and Sundays from Dec. 2 through Dec. 17. The event includes a gourmet buffet with scrambled eggs, French toast sticks, breakfast potatoes, bacon, sausage, biscuits, fruits and breakfast pastries. The cost is $27 for adults and $20 for children. Zoo members get a $2 discount, and children younger than 2 get in free. There is also free parking at the Zoo's north lot. You must make a reservation in advance for this Zoo party with Santa. The Magic House is always an exciting destination for kids and when you add in the chance to see Santa Claus, it makes for a truly special event. The Magic House hosts Breakfast with Santa on two Sundays in December. There are four seatings: 8:30, 9:45, and 11 a.m. and 5 p.m. on Dec. 3 and 8:30, 9:45, and 11 a.m. and 12:30 p.m. on Dec. 10. Santa will be on hand for the pancake breakfast. Kids also get to spend a little time after breakfast enjoying the rest of the Magic House for as long as they want; the cost includes admission. It's $20 a person for non-members and $15 a person for members. Santa makes an appearance at Eckert's Orchards in Belleville, Illinois, each year on weekends in December. 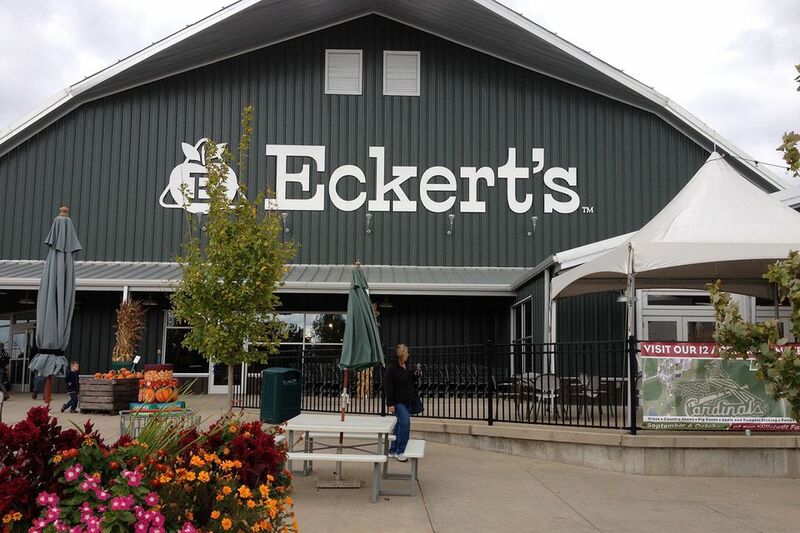 Santa will meet with children at Eckert's Country Restaurant. Kids can tell Santa what they want for Christmas, get their pictures taken, and get a special gift from Mr. Claus himself. Breakfast is served weekend mornings from Dec. 2 through Dec. 24 from 8 a.m. until noon and includes eggs, bacon, sausage, biscuits, fried potatoes, fruit, and sausage gravy. The cost is $15 for children and $12 for adults. And for those who would rather have breakfast at dinnertime, you can do that with Santa, too, every Friday night from Dec. 1 through Dec. 22 from 5 to 8 p.m.
At the​ Butterfly House in Faust Park in Chesterfield, it's Supper with Santa. Kids will love a pasta dinner complete with cookies and hot cocoa. They will also be able to make crafts, get a keepsake ornament, and make memories in a photo booth. Supper is served from 5:30 to 7 p.m. on Dec. 8. The cost is $20 a person for non-members and $15 for members of the Missouri Botanical Garden. Children 12 months and younger are free.